Section 2 of the Canadian Charter of Rights and Freedoms lists “freedom of expression” as a “fundamental freedom” to the Canadian way of life. The government of Ontario recently reinforced the importance of this freedom by mandating that the province’s universities and colleges have a policy addressing free speech on campus in place by the first day of 2019. Failure to do so, it warned, could result in reduced funding for the offending institutions. As a result, Ontario’s 24 colleges developed a joint free speech policy written by a group of administrators and a single student. No faculty members were consulted in the process, and the speed and secrecy by which this free speech policy was created has caused division within campus communities. Kennedy believes that this statement interferes with the right to freedom of assembly, and that it is “absolutely bizarre that [postsecondary administrators] think they can regulate the time and place of free expression on a post-secondary campus,” as written in the Globe and Mail. On one hand, the pessimist in me finds the notion of a mandatory free speech policy to be oxymoronic, as it sets up boundaries and rules to govern freedom of expression. This takes away from that freedom and puts restrictions on what people say and where and how they say it. The entire situation gives me the impression that the Ontario government does not trust higher institutions to protect students’ freedom of speech and must, instead, force itself into the operations of supposedly independent colleges and universities. On the other hand, I understand the argument that it makes sense for post-secondary institutions to have free speech policies in order to avoid cases like that of Lindsay Shepherd, the TA from Wilfrid Laurier University who was reprimanded for showing her class clips on a debate from Jordan Peterson about the political correctness of gender-neutral pronouns. The case drew national attention and brought to light the issue of what is and is not protected under the banner of free speech. 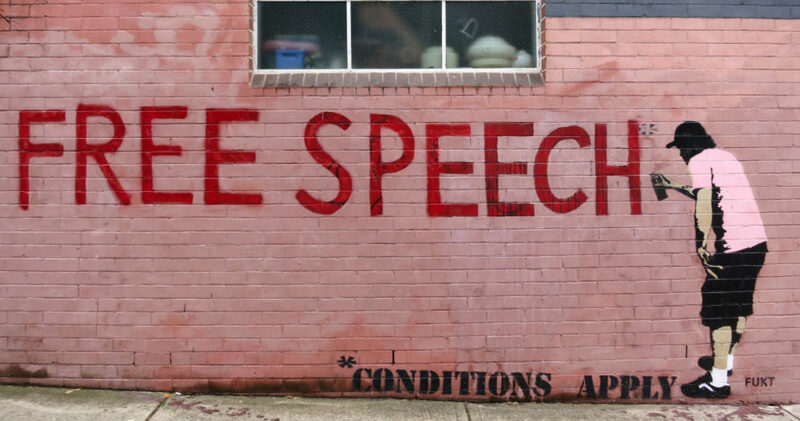 Since post-secondary institutions deal with the exchange of ideas and discourse, it ultimately makes sense to draw a clear line between what constitutes free speech and what constitutes hate speech. Especially nowadays, when anyone is able to spew hateful rhetoric online under the guise of free speech with minimal consequences. If B.C. were to follow Ontario’s example, the process of creating a free speech policy would need to fairly represent the voices of administrators, faculty members, and students alike. The panel of policy makers should be representative of a school’s community, and since students and faculty members make up the majority of those communities, they would deserve the most say in crafting such a policy. In order to create an effective document, fair representation and more open dialogue is necessary. After all, being able to discuss and shape a free speech policy is central to what free speech is all about.